This oriental style minimalist table is made in Ash. 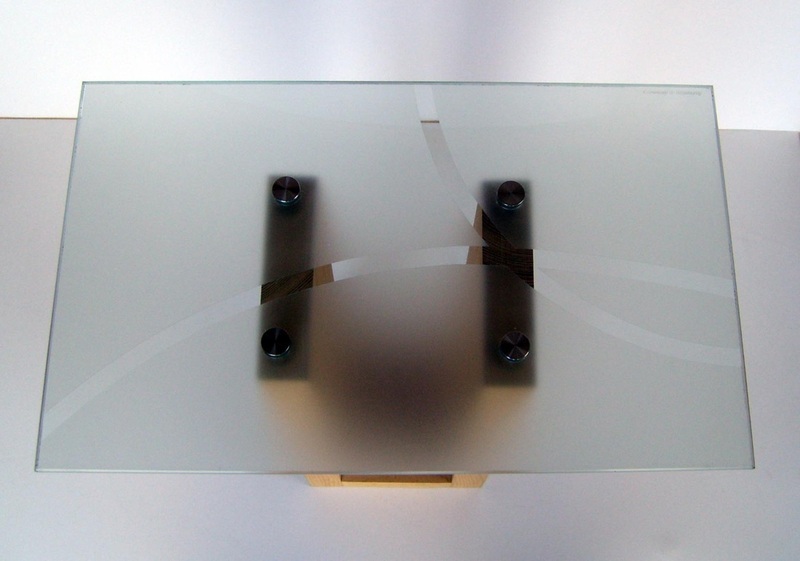 The laminated glass top has a sandblasted effect, achieved with opaque adhesive film. This is applied to the underside of the glass & is very durable. (It is often used on shop windows) The fixings are Stainless Steel. 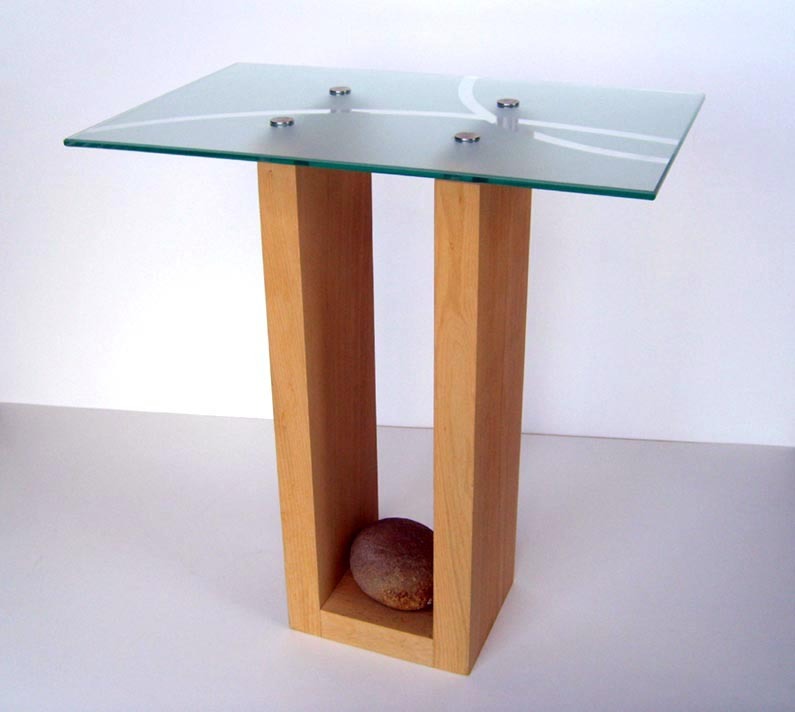 A pebble provides stability but is also an integral part of the design. I can supply a pebble from my local beach at Tynemouth, or you can go beach combing for your own to make it more personal. 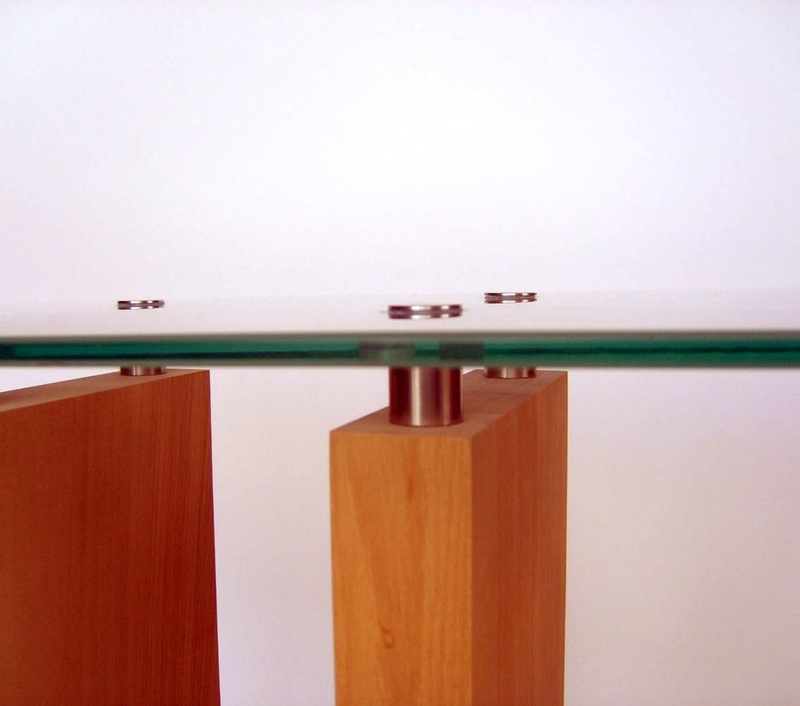 Height 48cm Top 43 x 26cm Ash, laminated glass, Stainless Steel, Stone. ​This table can be made to any size you want.